Situated in the heart of the North West, taking your CBT Training in Blackburn couldn't be easier - with two extremely accessible, high quality and affordable CBT Training locations. Both sites situated in close proximity to the city centre and can be found to the East, a short 15 minute walk from Blackburn Station. If arriving by road, then both locations are situated less than 2 minutes off the A678. What is CBT Training in Blackburn? Taking your CBT Test in Blackburn is the first step to getting out on the road on a scooter or motorcycle. You can expect your CBT - which stands for Compulsory Basic Training - to last up to 8 hours. There are no lessons beforehand, although it won’t hurt to brush up on the highway code. All you need to complete your CBT is a UK provisional licence and to be at least 16 years of age. Although commonly referred to as the CBT test, there is no test at the end of it, and you don’t have to worry about failing. The CBT is simply a day of training and instruction. Here’s what you can expect during your CBT. 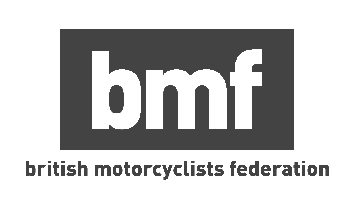 Where Can I Take my CBT Test in Blackburn? We currently have two CBT test centres in Blackburn, as well as one test centre a little further afield in Bury. The first CBT test centre in Blackburn is RJH Motorcycle Training. They’re based a short walk from Blackburn station, on Pendle Street. The staff are friendly and the training school is MCIAC Approved, which means they offer some of the best training in the country. RJH are located right next to Youles Motorcycles, so once you’ve got your certificate you’ll be able to ogle at all the new bikes in the showroom and make plans for your future bike. You can book your CBT at RJH with us via our Instant Booking system, which means your CBT will be confirmed immediately on checkout - you won’t have to wait for a confirmation call from the instructor. West Pennine Motorcycle Training are our second school in Blackburn, and they’re located slightly further east than RJH, just a 25 minute walk from the train station. This training school benefits from one of the largest purpose-built off-road training areas, so there’s plenty of space for you to get to grips with your machine. You don’t need your own motorcycle or scooter, both of our schools in Blackburn, and all CBT training centres for that matter, will provide with a bike to use for the day. If you’re 16-years-old that means you’ll be restricted to a motorcycle or scooter with a maximum capacity of 50cc and a top speed of 30mph. If you’re over 16, you’ll be allowed to ride anything up to 125cc with a maximum power output of 11kW. If you choose to take your car test in an automatic car, then you will only be qualified to drive automatic cars on the road, but that’s not the case with the CBT. If you choose to complete your CBT on an automatic scooter, you will still be allowed to ride a manual motorcycle on the road without further training. Although this is the case, we recommend completing your CBT on whatever type of bike you will be riding after. These are our favourite motorcycles and scooters out there right now. What do I need for my CBT test in Blackburn? You don’t need to worry about buying loads of riding equipment before your CBT Test - the training school will provide you with a bike and a helmet for the day, and usually a jacket and gloves, too. Wear some thick, sturdy jeans and boots that cover your ankles. Be sure to check the weather forecast for your CBT, too. If it looks like it’s going to be cold, a few thin layers underneath will go a long way to keeping you warm on the bike.